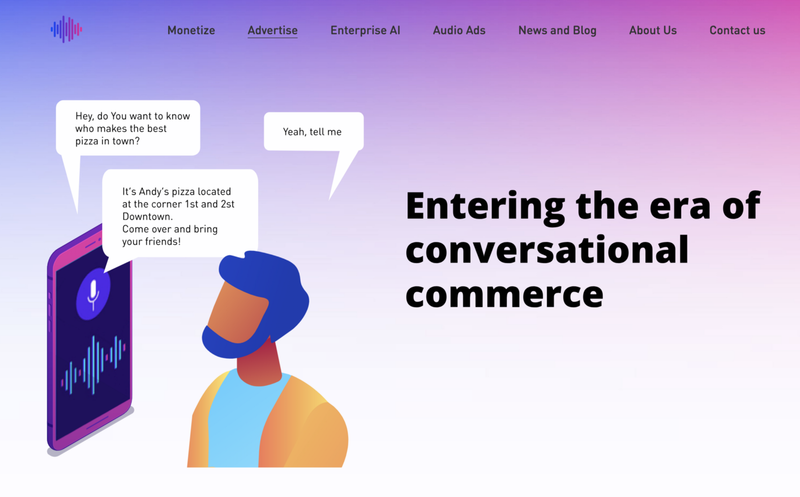 San Francisco, CA — April 1, 2019 — Instreamatic.ai, the platform for voice-enabled ads that allows media companies and advertisers to measure, manage, and monetize audio content by utilizing interactive voice AI technology, today announces an agreement to test interactive voice advertising with Pandora, the largest streaming service in the U.S. Audio advertising faces a pervasive “click challenge” when it comes to measuring and attributing the impact of ad campaigns. Unlike visual digital advertising published across web, mobile, and video interfaces, audio itself cannot be clicked. Instreamatic’s platform solves this challenge by allowing advertisers to utilize interactive voice ads that prompt consumers to naturally and verbally respond to offers. For example, a listener is delivered an ad with a verbal call-to-action to learn about new features of a new smartphone. The listener can respond to that ad simply by speaking aloud — either affirmatively to get more information or negatively to skip the ad. One of Instreamatic’s capabilities is voice AI that harnesses natural language understanding (NLU), enabling customer conversations to go far beyond “yes or no” interactions. Instreamatic’s AI functionality is also designed to study, interpret, and understand user intent, and continuously refines this understanding through deep learning mechanisms. In this way, the platform continues to learn and increase its vocabulary and predictive power. By anticipating intent — sometimes even before the user speaks — the platform is built to iteratively improve both consumers’ ad experiences and the performance of ad campaigns. Voice-driven engagement provides a natural utility to Pandora’s listeners, who are often consuming mobile audio content during hands-free moment such as cooking or working out, and advertisers will have the opportunity to engage audiences during moments where they were previously unable to respond. Pandora looks forward to offering test opportunities to advertisers later this year.